Verse 173 says, Let Your hand become my help. There are times in difficult situations, when we’ve over-estimated our abilities, and sometimes we’ve even put ourselves or our loved ones in jeopardy. Sometimes we can’t “un-ring” the bell and we just need help. Perhaps we find ourselves in one of these places today. Ever been swimming or fishing and found yourself in a strong current and needed help to get out? There is help nearby, a Friend much stronger than you and I—whose hand can hold us. When adversity strikes us, God is ready to strengthen us. The Psalmist also says of God in Psalms 89:13, You have a mighty arm; Strong is Your hand, and high is Your right hand. You can call out to God, “Give me a hand!” And He will rush to your side. The path of the child of God from the wilderness to Canaan was for them “facing the impossible.” John 4:10 (NLT), Jesus replied, “If you only knew the gift God has for you and who you are speaking to, you would ask me, and I would give you living water.” For us to face Jesus (with our life) may seem impossible. We may feel like we’ve sinned to the point where it is impossible for Jesus to forgive us. However, the Lord Jesus declares this truth, that, however subtle, however strong it may be, there is no attack of Satan (the enemy) on the child of God but first has struck the heart of the Lord. Hebrews 4:15, For we do not have a High Priest who cannot sympathize with our weaknesses, but was in all points tempted as we are, yet without sin. He overcame it at the Cross, and He bids us, His Children, to get a clear view of Him, to face again the impossibility that we have faced so often and say “in Him I can do all things.” In that moment the roar of Jordan will be silent, its violence in check, and we will go though on dry land. 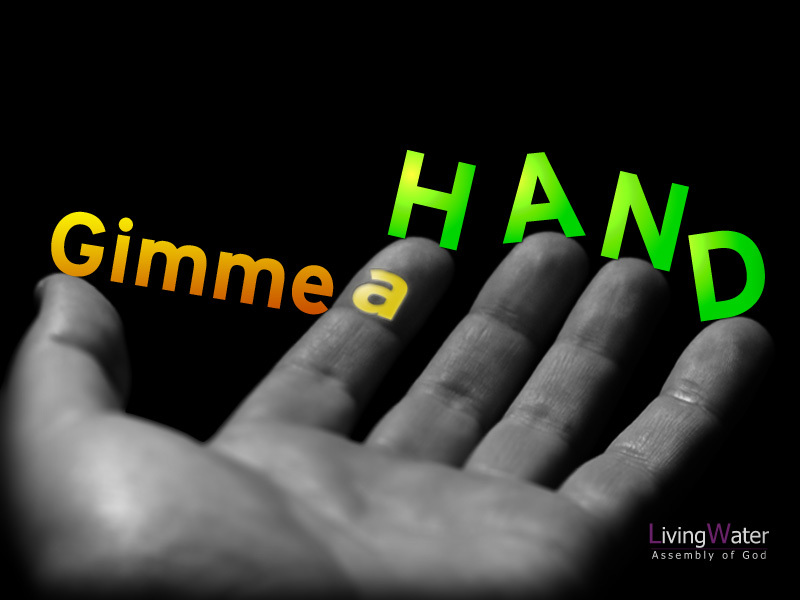 Say, “Gimme a Hand” and He will.